Today is Bonfire Night or Guy Fawkes night as we call it here in New Zealand, so I made some Parkin, a traditional cake from Yorkshire, England that is eaten on Bonfire Night. The cake is like a ginger bread, but contains oatmeal and molasses. 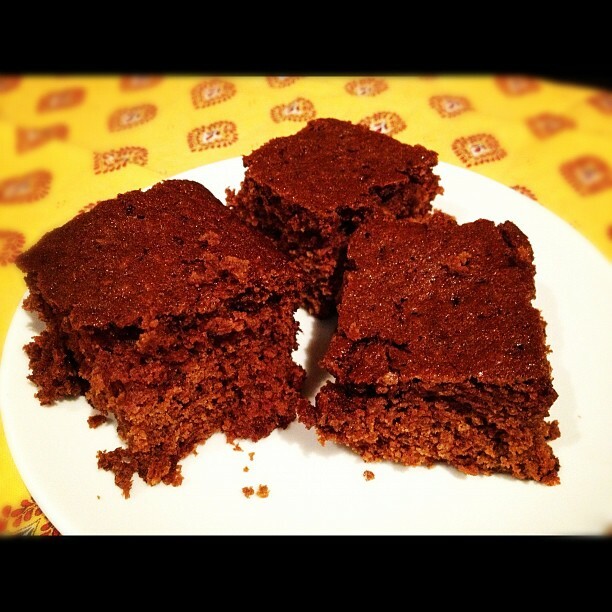 I first came across Parkin Cake when I lived in the UK and one of my work colleagues from ‘up North’ told me about it. I went down to the local Asda supermarket at lunchtime and bought some, it was kind of ok but I was a bit underwhelmed by it all. However like most things that are mass produced, the home baked version is much tastier! Kind of a cross between gingerbread and toffee, it’s delicious. 1. Heat oven to 140 degrees celcius. Grease and line a deep 9″/22cm square cake tin and line. Beat the egg and milk together and set aside. 2. 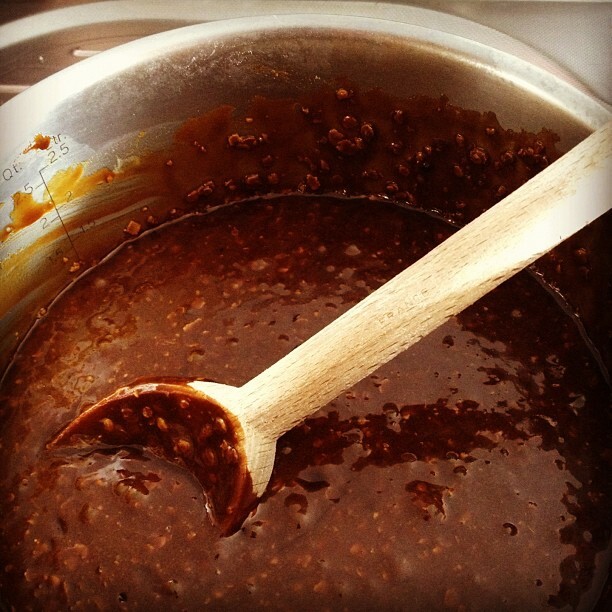 Gently melt the butter, golden syrup, treacle and brown sugar together in a large pan until the sugar has dissolved. Remove from the heat. 3. Mix in the oatmeal, flour and ginger and stir to combine. Stir in the egg and milk. 4. Pour the mixture into the tin and bake for 50 minutes to 1 hour until the cake feels firm and a little crusty on top. Cool in the tin. Wrap in parchment paper and foil and leave for 3-5 days if you can, it will become softer and stickier the longer you leave it. It lasts up to 2 weeks. Probably not in our house though!